Tennis is a fun sport that demands much practice to excel; although there is not necessarily a best way to practice tennis, there are specific tennis drills that will help a beginning tennis player become better at their game. When I was playing tennis, I used to perform tennis drills such as practicing my swing by hitting balls over the net into an empty opposing court where I would aim at empty tennis ball cans. 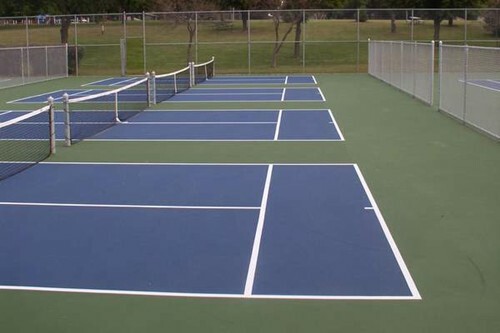 Once I had hit all of my tennis balls into the opposing court, I would then practice my running footwork while going to retrieve the balls from the other side. Alongside practicing footwork, I would also practice bouncing balls off of my racket continually to help improve my hand-eye coordination and handling of the tennis racket when hitting the ball. Performing a hitting and running exercise is a key in learning a best way to practice tennis. Other than learning the proper way to swing the tennis racket, choosing the right size racket is equally important. I chose tennis rackets that had a larger net as well as lightweight material to begin with. Using a tennis racket with a larger net allows the player a larger hit area on their racket as well as a flexible control to exert a lot of power into a swing. Once a player starts becoming more confident in their playing abilities, they may choose intermediate or advanced tennis rackets that offer varying benefits such as being extremely lightweight and powerful. Alongside practicing footwork on the tennis court and using the proper size racket is also utilizing the benefits of a tennis ball pitching machine. A tennis ball machine gives a tennis player great exercise because the machine repeatedly fires tennis balls that forces someone to be on their toes and to be quick to react. I myself benefited from using a tennis ball pitching machine because it helped allow me to have a quicker reaction time to tennis balls coming onto my side of the court. Alongside helping me to have a quicker reaction, using a tennis ball machine also allowed me to be more agile on the court when hurrying to hit the tennis ball back over the net. When trying to become better at tennis, like anything, practice makes perfect. This could never be a more true statement than when a tennis player finds themselves becoming more agile and gaining a quicker reaction time due to practicing their swing and footwork on the court. If a player keeps practicing, they will surely see improvements in their abilities on the tennis court. I remember the first time was introduced to the game of tennis. My mother set up a date for me to take tennis lessons from a tennis instructor that was part of the recreation department in our town. I was only eight years old at the time. Mom took me shopping for my very own tennis racket and outfit. My tennis instructor was a younger woman. My first lesson was a group lesson where the instructor tried to teach six to ten year olds how to control the racket and ball. To do this she began the lesson by having us jump over our racket. Using both feet, we jumped from side to side. We spent an hour doing this exercise repeatedly. Later in the day, she showed us how to hold our racket and how to toss the ball up in the air. This was the conclusion of our first tennis lesson. On the next weeks lesson the tennis instructor introduced us to the portable tennis ball machines. She gave us a brief history of the ball machine stating that Rene LaCoste first created it in 1920. The first ball machine was made to crank out balls. Lacoste felt that this could help him improve his game. The machine was successful in helping La Coste to improve the game with the help of someone cranking out the balls for him. It was not until 1970 that the first motorize ball machine came on the market. After I looked into the invention, I discovered the interesting fact that the first motorize ball machine actually used a vacuum motor in reverse. This made the pressure to shoot the balls out for Bob McClure the inventor. This improvement on a ball machine invention gave tennis practice the upper hand and gave future companies the ability to create the best tennis ball machines available today. 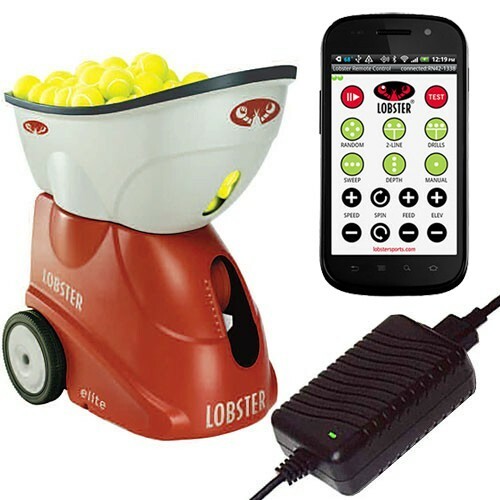 Today the best tennis ball machines work on batteries or motors that are stronger. I like the portable tennis ball machines because I can practice alone. The ball machine shoots the balls out at a generous speed so that I hit them back over the net. It has been many years since my first tennis lesson and first experience with a ball machine. I would like to say that the portable tennis ball machine has helped improve my performance against a partner. I believe if someone would come out with a machine that helped my swing that I may improve substantially in the game of tennis.